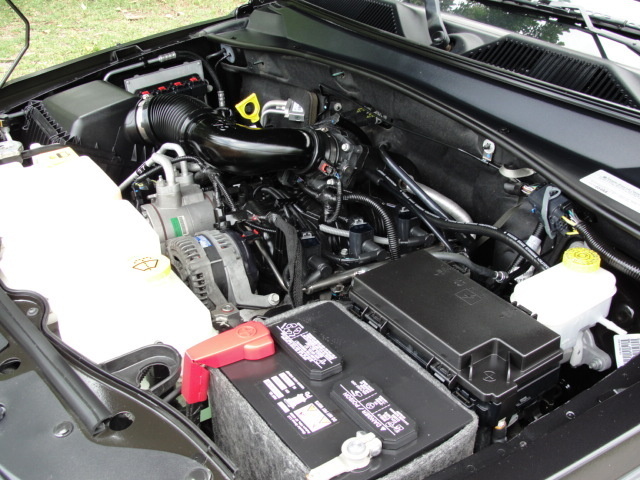 CarGurus has 4,373 nationwide Liberty listings starting at $1,499. The 2012 Jeep Liberty offers unmatched off-road prowess together with 5,000 pounds of towing torque when properly equipped and relatively good fuel economy for an all-wheel drive vehicle. 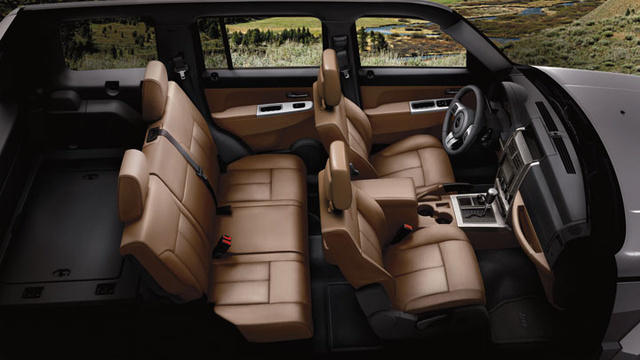 Frequent downshifts from the 4-speed automatic transmission only make the 2012 Liberty's cramped rear seat and confusion with dry pavement all the more impractical for daily driving. 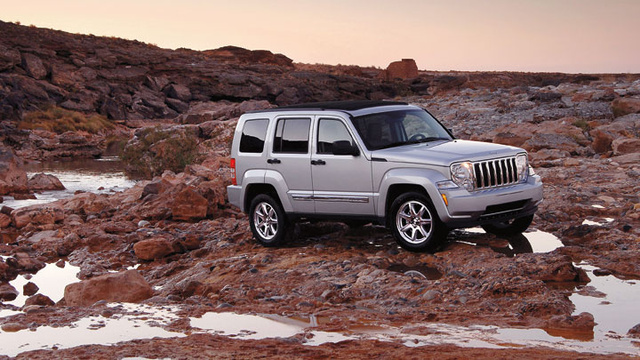 For its final year of production, Jeep's 2012 Liberty includes a couple of new companions for the dedicated off-road warrior, but these still make no attempt to teach the Liberty any road manners. Almost anything but the Liberty is better for civilized driving, but there is no more affordable choice for able off-road conquest. The saying goes "Go big or go home," but Jeep decided to do both. Chrysler has confirmed the demise of both the Liberty and the Dodge Nitro after 2012 and just 10 years of production. Rumors abound for several new off-road companions to take the Liberty's place with Chrysler's nearly $2 billion Toledo re-tooling investment - including Fiat- and Cherokee-based mini and maxi versions, respectively - but don't hold your breath. Especially when there's such a promising Liberty available right now. The 2012 lineup includes the usual Sport and Limited, but leaves out the Renegade in favor of a winter-themed Arctic and puts a Limited Jet at the top of the line. A rear parking sensor is now standard across the board, but the Sport now offers voice command, a universal garage door opener, exterior temperature display and a compass in both the gauge cluster and overhead console. Lastly, five new exterior colors are available for 2012: Black Forest Green Pearl, Canyon Brown Pearl, Mineral Gray Metallic, Rescue Green Pearl and True Blue Pearl. If last year's drivetrains or powertrain were a deal killer, then you're probably better off holding your breath until the newbies arrive for 2013. Rear-wheel drive or one of two types of 4WD is still available in the Sport, Limited and Limited Jet, while the Arctic is expected to maintain full-time 4WD with Selec-Trac II, like its Renegade predecessor. Just like last year's version, a 4-speed automatic is the only transmission offered, and the sluggish 3.7-liter V6 is likewise expected to carry over unchanged. The 210-hp, 235 lb-ft/torque 3.7-liter V6 remains the lone engine powering the Liberty, and with it the 4-speed automatic brings the Liberty from a standstill to 60 mph in a lethargic 10.6 seconds. Properly equipped, the Liberty can tow up to 5,000 pounds. Rear-wheel drive is available for the Sport, Limited and Limited Jet alongside one of two 4WD choices - part-time Command-Trac II or full-time Selec-Trac II, the latter being the expected standard for the new Arctic. Liberties running on two wheels fetch 16 mpg city/21 highway, and 4WD drops that slightly to 15/21. A nearly 20-gallon gas tank helps compensate for its thirst for regular-grade fuel and gives the Liberty a range of just over 300 miles on one fill. One thing is for sure: No matter where you want to go, the Liberty will get you there. Eventually. Unfortunately that means passengers will just have to deal with its flat, hard seats and slightly limited room while swaying with the Liberty's unpleasantly soft suspension on paved roads for however long that little engine takes to get you from here to there. To make matters worse, the steering is none too sharp either. At least the consoles and controls are pretty easy to find and use, with the exception of the optional touchscreen. Other buttons and functions can be somewhat difficult to find and figure out, such as the overhead lights and trunk release. Storage cubbies could definitely be better, though - the glove compartment is rather small, and there's little else to supplement the lack of space available there. Hard plastics strongly dominate the interior of nearly every Liberty, but the further up the trim ladder you go, the more you will find chrome and leather accents to offset the still dominantly plastic interior. The passenger and rear seats fold flat, opening up 64 cubic feet of cargo capacity - it offers 31.5 cubes otherwise - but they also are flat with a plastic kind of feel. At least even the Sport can opt for a leather-wrapped steering wheel for your driving pleasure. Speaking of the Sport, it was pretty well-equipped even before the 2012 additions, featuring at that time 16-inch alloy wheels, automatic headlights, heated mirrors, keyless entry, cruise control and a 6-speaker stereo with CD player, auxiliary audio jack and satellite radio connectivity. Opting for the Popular Equipment Group for 2012 adds roof rails, foglamps, a cargo cover and a multifunction leather-wrapped steering wheel, since most of the options from this package are now standard. The new Arctic adds to that various themed accents inside and out in addition to heated and powered front seats and the Media Center 430, including a 6.5-inch touchscreen, digital music storage and a 9-speaker sound system. The Popular Equipment Group is standard for the Limited, which also adds, over the Sport's features, 17-inch wheels, heated powered front seats, driver's memory, leather upholstery, an auto-dimming rear-view mirror, Bluetooth and two more speakers for the sound system. The Comfort/Convenience Group adds remote ignition and automatic climate control, since the rear parking sensor is now standard across the board. 18-inch chrome wheels are also optional for the Limited, but the only sunroof available is the Sky Slider cloth sunroof available for all trims. The traditional sunroof is optional for all other trims except the Limited and perhaps the new Limited Jet - which adds only 20-inch wheels with all-season tires to the standard Limited's offerings. Taking a Liberty with AWD opens up the option for the Media Center 430 without a navigation system. Otherwise these options must be purchased together, or the navigation can be had a la carte. 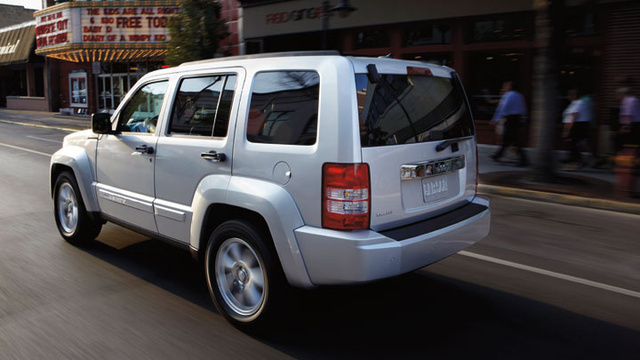 The most recent safety tests for the Jeep Liberty were conducted in 2010 under the older testing framework. This doesn't necessarily mean the older scores translate to something lower today, but it's not like the Liberty has much room to fall anyways. Rollover risk is pretty shaky with 3 out of 5 stars, but roof strength and frontal offset results got top marks. Side-impact crashes are rated as Marginal and rear-impact crashes get the even lower score of Acceptable. Standard safety features include 4-wheel antilock disc brakes, stability control, active front head restraints, side curtain airbags and a rear parking sensor, but the Liberty doesn't come to a complete stop from 60 mph in less than 134 feet, which is well above the average for its class. Most full-size trucks will stop shorter. As one driver points out, it's a Jeep, not a "wannabe SUV - it's the real thing!" True outdoor warriors appreciate the Liberty's rugged maneuverability and easily cleaned interior, calling it everything from comfortable and powerful to attractive. However, even drivers who love their Liberty warn that the all-wheel drive systems behave like a locking differential and can be problematic on anything resembling a perfectly good paved road, but they simultaneously praise its relative fuel-efficiency. Haters are going to hate though, and drivers whose first love was more of the wannabe sort endlessly chastise the Liberty for its hard plastics, hard seats, lackluster performance and thirsty engine. In short, if you're just as unafraid to get dirty in the Liberty as you are of getting dirty under it, time is running out to get your hands on one from a fresh batch! 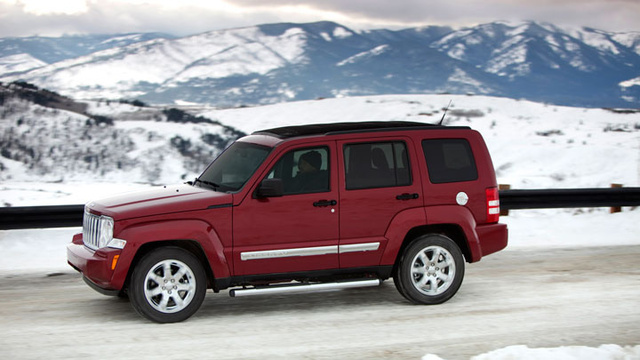 What's your take on the 2012 Jeep Liberty? Marv I bought the first Liberty in 2002 and loved it. The last one--2012--is a much better, much tougher vehicle and I haven't been disappointed for one minute. It has great storage capacity, towing capacity and enjoyment capacity. Why did Jeep stop making this ? 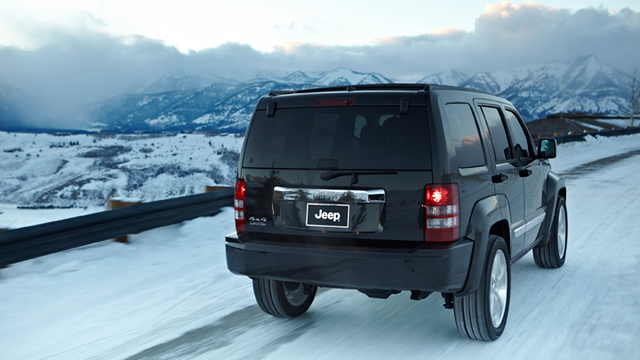 Have you driven a 2012 Jeep Liberty? Key Less Entry will only lock all doors but will only unlock the driver door. Same thing happens when you press the power lock button manually on the inside. Any idea on what causes this?